Displays various impulse buys including candies and snacks. 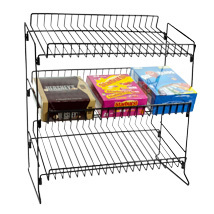 3 shelf countertop display features angled shelves for versatility. 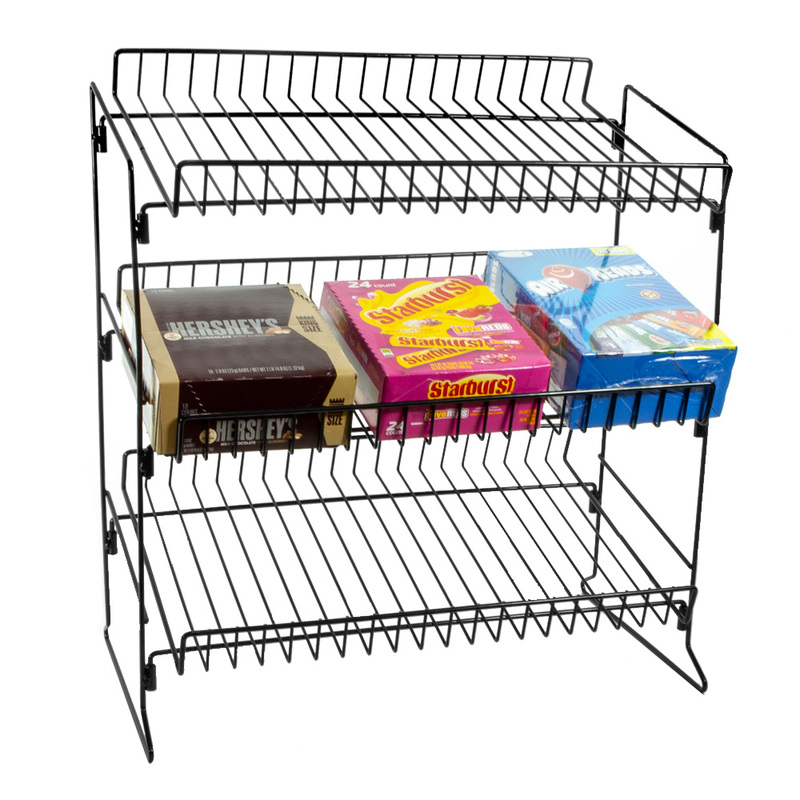 Shelves are positioned on a nice viewing angle. Simple KD design makes assembly easy and keeps shipping costs low. Steel, item weights 9 lbs.